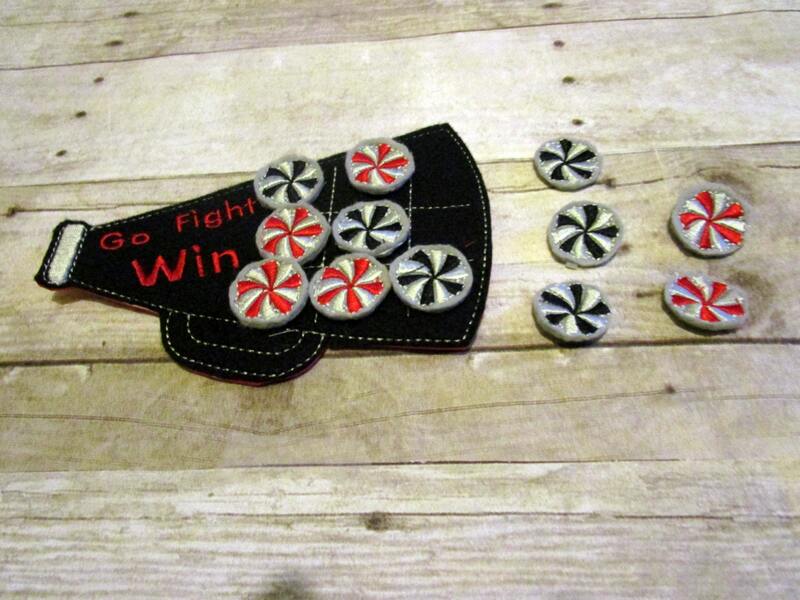 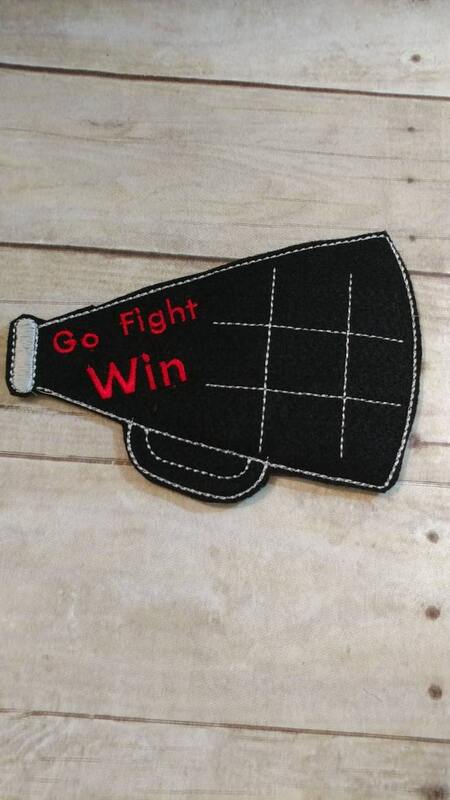 This listing is for a felt machine stitched, hand cut megaphone/cheer themed tic tac toe game. 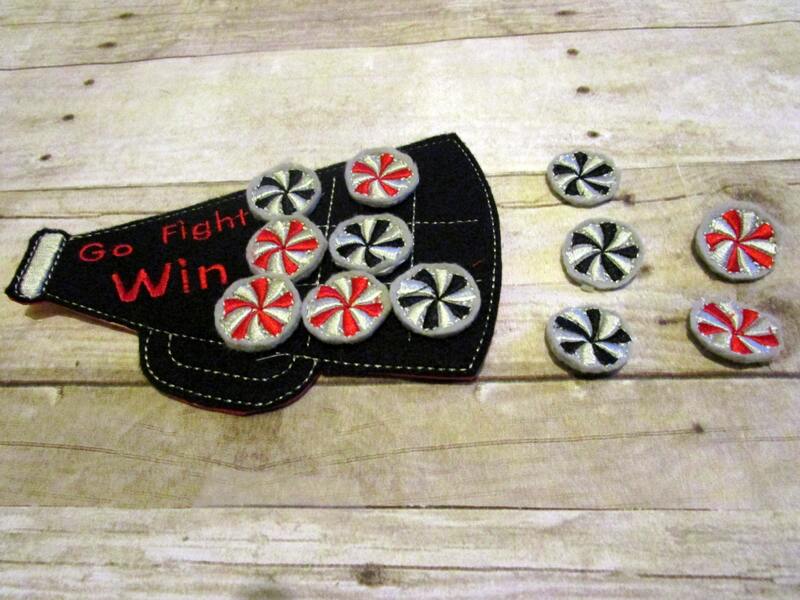 The game board is about 5x7 inches. 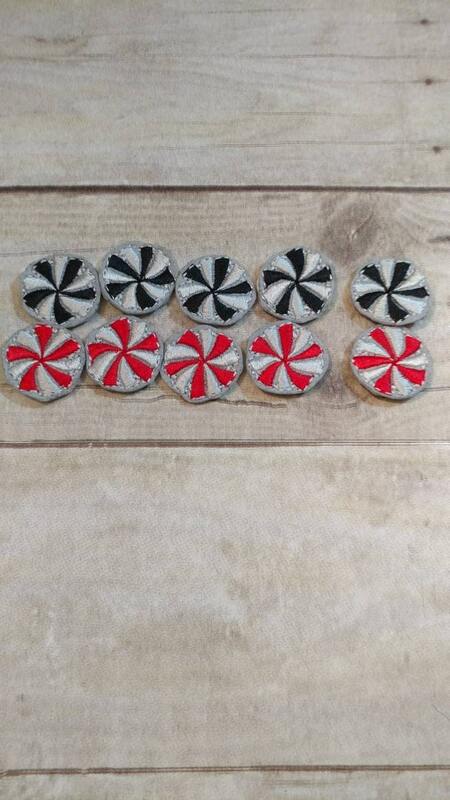 Comes with 10 playing pieces, 5 of each. 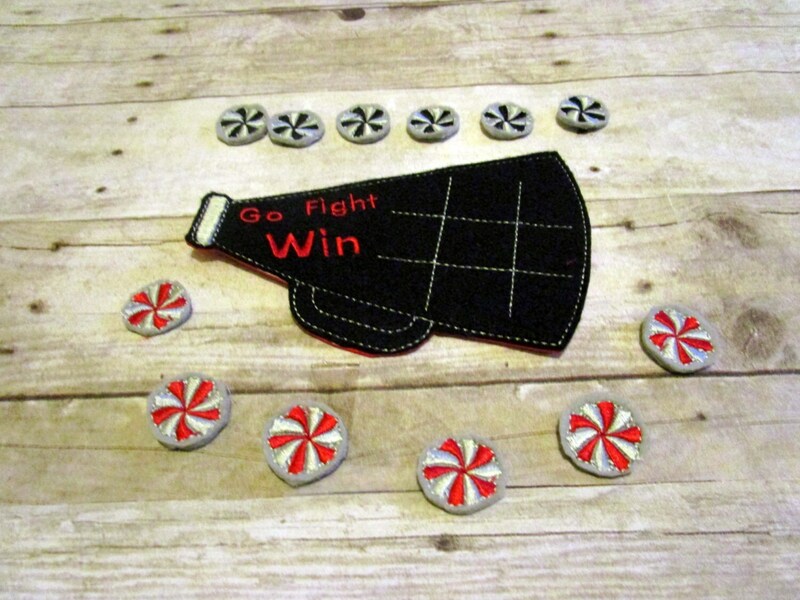 This game would make a great gift for any occasion for the cheerleader in your life.